2012 was not the greatest year for me. I have to say, I'm really glad it's behind me. I'm looking forward to reaching new goals and continuing to grow my tiny business. 1. 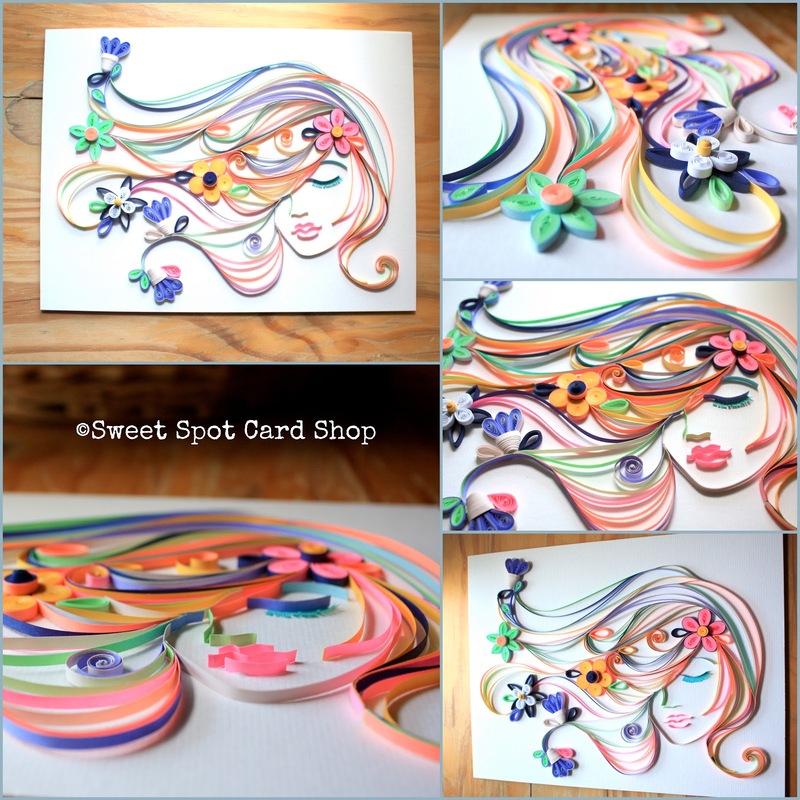 Spring Love: A follow-up quilled portrait to my Fall lady. This is Spring. She actually got the most views of any of my creations here at The Sweet Spot EVER! I love how she turned out! 2. 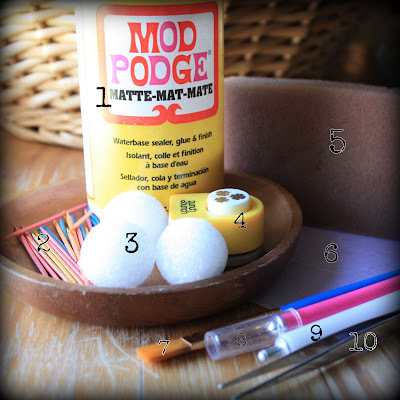 Quilling 102: Step by step instructions on how to create various "coils" in quilling. 3. 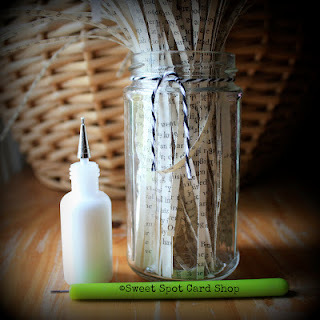 Lovely Lids: A DIY tutorial on reusing old jar lids and making them into cute magnets and/or tacks. 4. 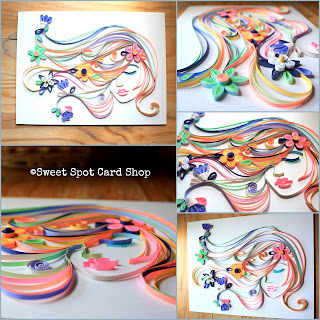 Quilling: Scrolls: Step by Step instructions on how to create various "scrolls"in quilling. 5. 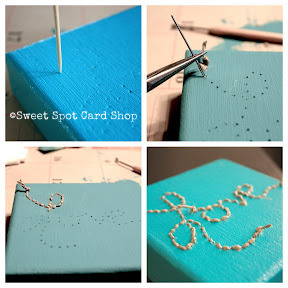 DIY Stitched Canvas Wall Art: Full DIY tutorial on how to create your own unique canvas art. 6. 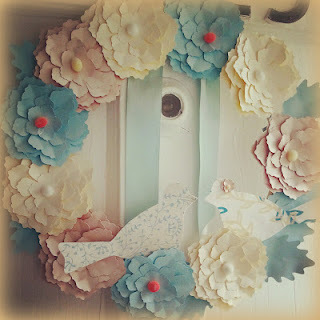 How-to Paper Hydrangeas: Here I share my technique on 3D paper hydrangeas with punched flowers. 7. How-to Spring Wreath: Make your very own Spring Wreath (with free printable). 8. 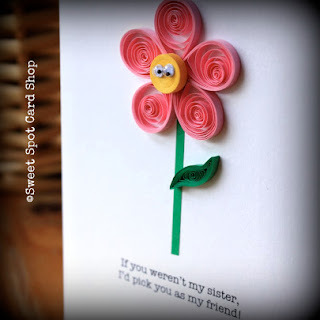 I miss my sister: I found it interesting that this was on the list of top posts. Here I just share some personal feelings about living far away from my sister and a card that was inspired by that fact. Those are the top 8 posts of 2012! There were only 8 because I had a really rough year health-wise and stress-wise. I went long periods of times without any posts and even had to close shop a few times. So, this is the last time I will be looking back! I'm grateful for the challenges I was able to overcome and even more grateful for the opportunity to start a new year with a clean slate and more determination to continue being creative and challenging myself each day. For a look at last year's Top 10, click here. Yes, this is so true!! 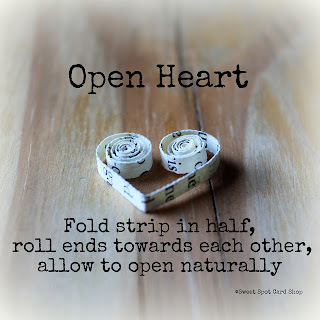 I love these tutorials... and also, your first one, the spring love, that's genius!! !